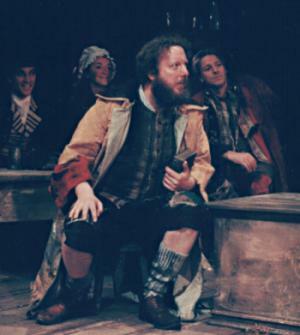 John already had considerable experience in street theatre and musicals before his first stint as both an actor and musician with the Bath Natural Theatre Company in 1983. Since then he's become an accomplished and respected performer, though such is his popularity as a musician that he is often asked to combine the two roles. 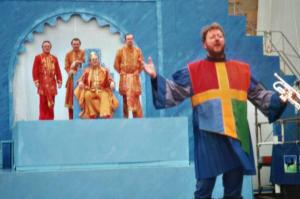 While comedy and musical theatre are undoubtedly his forte, he is just as comfortable in a straight dramatic situation. He's performed with companies such as Wildcat, appeared in major productions such as The Big Picnic, and mixed with some of Scotland's finest actors in plays such as The Thrie Estates.